Donated by: Pascal Gervaix, Lausanne, Switzerland. This is very rare and special software for the 150. 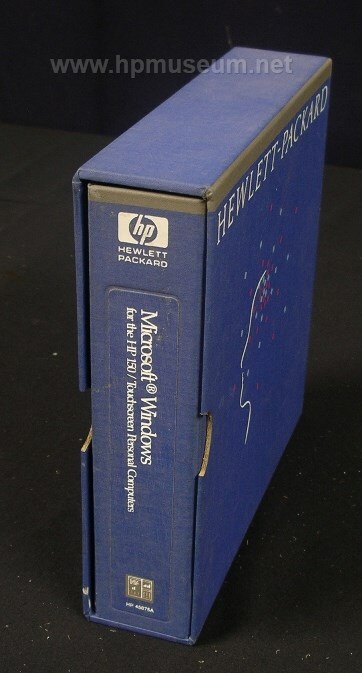 The 150 was the oldest HP computer to run Microsoft Windows. The program even supports the touchscreen on the 150. We have succeeded in getting the software to run on the 150II from both floppy disc and from hard disc. With the original 150, we have only succeeded in getting the software to run from hard disc. Zip file contains 8 discs.